Congratulations to the Hicks Family in OK! 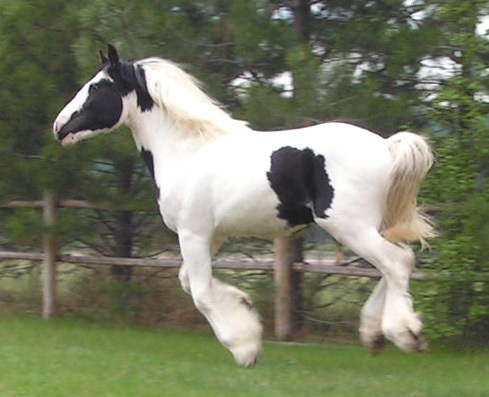 Orion is a coming two year old Premium Drum Horse colt. He already stands a full 16.1 hands tall and is nowhere near done growing or filling out! 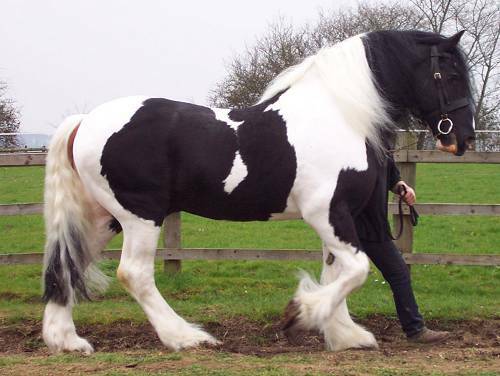 His sire is the famous Galway Warrior who originally belonged to the Queen of England and was used as a herd stallion for Her Majesty's Drum Horses. 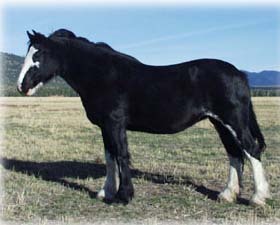 His dam is Skye a black Clydesdale mare. Orion was born with quite a presence. He is very sure of himself and always has that "Hey look at me" air about him. Orion is a tremendous athlete. 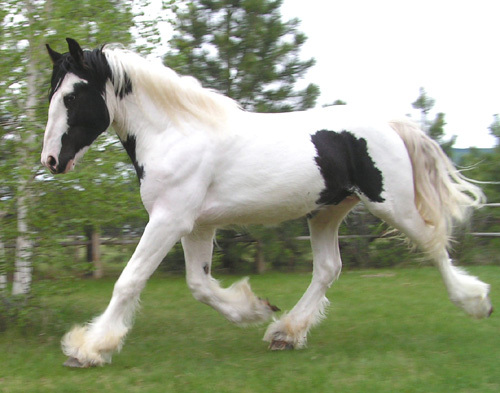 He has a floating stride with three powerful gaits. 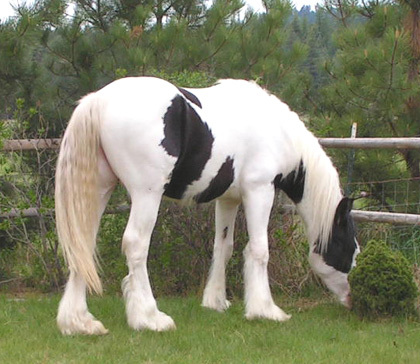 He moves well under himself and maintains a very level topline. Orion is also a talented natural jumper. 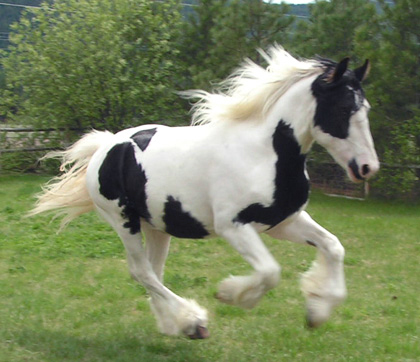 This guy could excel in so many different equine sports! 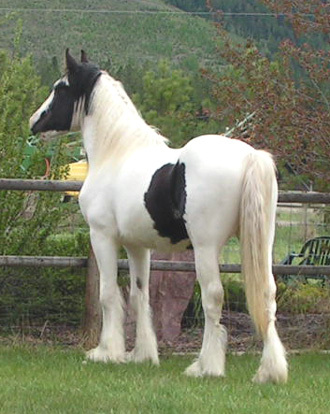 Orion's combination of both Sabino and Tobiano markings, give him a real flashy appearance. He has one dark eye and the other is mostly dark with a splash of blue. Orion has tons of wavy mane like his dam and thick, silky feather. 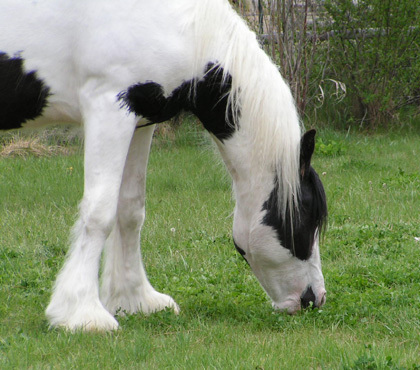 Orion has an a wonderful disposition- he is quick to learn and willing to please. 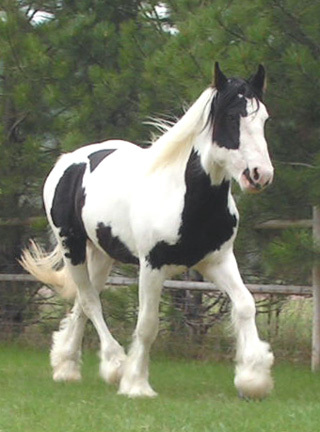 Orion has all of the qualities that make him a great stallion candidate, or a tremendous riding/driving gelding.